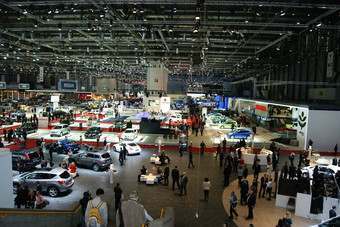 I am looking forward to next week’s Geneva Motor Show – I always do. As well as being an important date on the automotive calendar, the Geneva event always seems to mark the end of winter. This year promises to be an exciting show with more than 100 debuts at the last count and some highly interesting news to follow up on. It will be interesting to hear the ‘world on the street’ from insiders at PSA and General Motors about the new alliance. At the Detroit show in early January there was much speculation that PSA was doing a deal with Fiat after Sergio Marchionne and Phillipe Varin were spotted together. It was a rumour quickly quashed by the Fiat boss who said they were attending a regular meeting of CEOs. You often have to read between the lines when talking to executives and, to be fair, Marchionne did not seem to be trying to divert us along another path and events this week have shown this to be correct. One thing Marchionne does keep telling us is that there will be more alliances and that we still have a big overcapacity problem in Europe. No doubt that’s something we will be talking to car bosses about next week.